Subtitle: Hurricane Isabel originally showed a Masonic Pentagram in the middle of her eye for a very good reason: this storm has devastated an area targeted for "de-population" so that the land can go back to the "wild", i.e., "Re-Wilding". Using Weather Modification tools, the Illuminati is gradually establishing the precedent that certain areas of the land cannot be inhabited. When you lose your Personal Property Rights, you can thank "Re-Wilding" and the United Nations Global Biodiversity Strategic Plan. If you hope to understand the contents of this article, you must first understand three very important factors. 1. The Illuminati Plan for the "cleansing" of the earth after their Antichrist arises foresees a very draconian plan whereby the population of the earth is dramatically and quickly reduced by 66%, after which the survivors will be forced to live in certain places on earth. The land outside these designated "human activity" zones will be set aside from any human habitation or recreation -- called "Core Reserves" -- or will be highly regulated "buffer zones" between the cities and the forbidden areas. The planning for this "cleansing" of Mother Earth is quite advanced, and is being managed by UNESCO through the Heritage Programs of the various nations of the world. We speak of this plan in NEWS1863 and encourage you to read it before you read the rest of this article. Thus, peoples of the world need to be led into the worship of created objects rather than Jesus Christ, Who created all things in the universe [John 1:1-14]. People need to start worshipping the human intellect, Astrology, Witchcraft, and the human body. If you have been paying attention, you will know that these trends are most powerful in the world today. These are the values and attitudes the Illuminati has successfully implanted within the hearts of the vast majority of people in the world today, with great success. Today, the majority of the peoples of the world are ready to accept the values and attitudes of Antichrist. However, there are other changes the Illuminati has sought to make. They have reorganized the world into 10 Super Economic Nations, with the express plan to make each of these super nations into a political nation (Seminar 1, "America's Leadership of the New World Order"). Occult material makes it quite plain that each of these 10 Super Nations has an occult ruler unseen by humans today (Read NEWS1052). Of course, this change fulfills Bible prophecy of the 10 Super Nations at the End of the Age (Daniel 7:7-8 and Revelation 17:12-17). Today, the world has gone global: in Economics, Politics and Religion. The world today stands at the cusp of the final "Birth Pangs" to produce Antichrist: Wars, Rumors of Wars, Earthquakes in many places, famine and deadly plague. The "Preparatory Period" leading up to Antichrist also foresees a preparation to reduce the world's population by means short of the final war and plague, in activities such as Abortion on Demand, encouragement of Euthanasia and Suicide, and many worldwide wars. This period also will see the beginning of the campaign to dissolve our current Industrial Civilization, replacing it with an Agricultural Civilization like that of 300 years ago! Toward this end, regulations by the tens of thousands have put tremendous pressure on certain aspects of our Industrial way of life; toward this end, a draconian plan has been drawn up whereby most areas of the world shall be declared off-limits to human activity while other areas highly regulate all such activity. This plan is drawn below, and shall be our focus for this article. 3. To accomplish this environmental paradigm shift, Satan has revealed to wicked man the secrets of the earth and how it functions! In the early 1900's, mystic scientist Nicolai Tesla discovered that the earth functions as a giant electromagnetic engine; then, Tesla discovered the exact Extremely Low Frequency (ELF) by which the earth operates. By building huge towers that operate at precisely this frequency, Tesla discovered he could control the weather, create storms, dissipate storms, and even direct them. Now, nearly 100 years later, government scientists have this capability honed to a "science". If you are not familiar with this fact, we offer the following proofs. Using electromagnetic wave technology, scientists can also create, steer, and dissipate hurricanes / cyclones, as this next news story illustrates. NEWS BRIEF: "Malaysia to Battle Smog With Cyclones", by Chen May Yee, Staff Reporter of the Wall Street Journal, The Wall Street Journal, Thursday, November 13, 1997, page A19. "KULA LUMPUR -- Malaysia's war on smog is about to get a new twist. The government wants to create man-made cyclones to scrub away the haze that has plagued Malaysia since July. 'We will use special technology to create an artificial cyclone to clean the air', said Datuk Law Hieng Ding, minister for science, technology and the environment. The plan calls for the use of new Russian technology to create cyclones -- the giant storms also known as typhoons and hurricanes -- to cause torrential rains, washing the smoke out of the air. The Malaysian cabinet and the finance minister have approved the plan, Datuk Law said. A Malaysian company, BioCure Sdn. Bhd., will sign a memorandum of understanding soon with a government-owned Russian party to produce the cyclone. "Datuk Law declined to disclose the size of the cyclone to be generated, or the mechanism. 'The details I don't have', he said. He did say, though, that the cyclone generated would be 'quite strong'. Datuk Law also declined to disclose the price of creating the cyclone." This article is written by the prestigious Wall Street Journal, and it reports, very matter of factly, that Malaysia is ordering a cyclone just as someone might order some lawn furniture from a catalog! This article also reports that the Russians have the capability of creating such a huge storm for a fee. Also unsaid, but inferred, is that this cyclone could be steered or controlled so that it would come close enough to Malaysia to clear away the haze that was bedeviling that nation, but not so close it would cause any damage. Further, the nations close to Malaysia are not quoted as being overly concerned that this most powerful of storms might accidentally hit their shores. This news is quite stupendous, and it opens up all sorts of questions about our incredible and unprecedented hurricanes in past years. Were these hurricanes also caused by our scientists, or by Russian scientists? If our scientists created them, then the Federal Government needs to be strung up and quartered for the pain, anguish, and death caused by these terrible storms. If the Russian scientists caused these storms, then they have just committed an act of war against the United States! Then, the Wall Street Journal, on October 2, 1992, reported that a Russian company called "Elate Intelligent Technologies, Inc.," sells weather control equipment by using the advertising slogan, "Weather Made to Order". This motto is even on their business cards! The commercial Director of Elate, Igor Pirogoff, stated that "Elate is capable of fine-tuning the weather patterns over a 200 square mile area for as little as $200 U.S. per day". Is it just coincidence that this 200 square mile effective range is the same range as our GWEN towers? Suffice it to say that GWEN towers are apparently being used in conjunction with HAARP towers to shoot enormous bursts of energy into the atmosphere to control our weather. This Wall Street Journal article also quoted Mr. Pirogoff as saying that Hurricane Andrew could have been decreased "into a wimpy little squall". * NEWS1694 - "Weather Control and Weather Warfare: "Sustainable Development Series = Destruction of this Civilization"
* NEWS1196 -- Bad News Is That Global Warming Is Real"! - This article details the U.N. Treaty To Outlaw Using Weather Warfare technology against other nations, a treaty which would be wholly unnecessary if such technology did not exist! * NEWS1695 - "Maps of Historical Major Storms Conforms Greatly With U.N. Map of Reserve and Corridor System To Protect Biodiversity" - In this article, you will discover that President Bush has already aligned America to become subservient to this plan! * NEWS1697 - "Review of Revelation Judgments In Which Weather Is Turned Against Man"
* NEWS1197 - "Mass Media Articles Which Have Boldly Talked About Weather Control"
* NEWS1198 -- "More Bold Articles About Weather Control"
* NEWS1199 - "Actually Causing Massive Flooding With Weather Control Technology"
Now that you have the proper understanding that scientists do control the weather, we need to talk about Hurricane Isabel, a unique storm that was sent crashing into two critically important U.N. Reserve Systems on the East Coast -- the "Carolinian - South Atlantic" and the "Virginia Coast". However, before we get into the details of this reality, we need to touch on a very unique government satellite photo of Hurricane Isabel when she was still far out in the Atlantic, days before she made landfall This picture is to the left. Notice that the center of this storm -- the Eye -- has an unmistakable Pentagram in the middle; in fact, this pentagram looks very much like the Pentagram the Masons use frequently. Cutting Edge Webmaster copied this satellite photo, examining it carefully with some sophisticated software, to see it this image had been touched up; he discovered that the image had not been manipulated! The Eye of Isabel formed with a very distinctive Masonic Pentagram precisely in the center; this symbol looked small on the satellite photo, but was 40 miles in diameter! From this picture onward, I felt Isabel had a special role to play. Even though I know that scientists created this hurricane, and steered it, I cannot comprehend how they could have caused such a clear image to form like this. But, I do know that the Bible says that Satan is the Lord of this world, the "Prince of the Power of the Air" [Ephesians 2:2]. 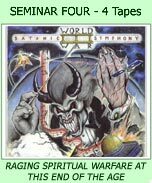 Earlier in this article, we posted the painting of Satan controlling the events of this world much like a conductor controlling his symphony; we believe Satan caused this image to form right in the Eye of Isabel. "The inverted five-pointed star within a circle is the highest form of Satanic expression, representing Baphomet, the God of Mendes, or the embodiment of Lucifer as God. In fact, the Pentagram enclosed within the circle is a sign for the God and Goddess." ["Masonic & Occult Symbols Illustrated", p. 30. Thus, this satellite photo symbolizes Lucifer! This storm was forming exactly the right symbol to represent Lucifer. Remember that Lucifer's plan to is to stage his "Christ", to bring all the world into subjugation to him, worshipping him as God. Lucifer plans a global dictatorship, global economy and global religion. After "The Christ" has completed his first 7 years in Israel, he will begin to "cleanse" the earth. At this point, this USA "Re-Wilding" map will begin to take shape. What Bible prophecy does this Luciferian symbol brings to mind? Have we just seen a "wonder in heaven"? Further, the Illuminati did name this storm. Isabel is not just any name, for she has occult connotations. The name, Isabel, is a Spanish Female who is consecrated to god [http://www.babycenter.com/babyname/results.jhtml?_DARGS=%2Fbabyname%2Findex.jhtml]. The word, "consecrated" means, "dedicated to "a sacred purpose; sanctified", or dedicated to "the service or worship of God". Is this storm deliberately created to be used for "solemn" service to a god? This is the meaning of the name, Isabel! Hurricane Isabel came on land on September 18, traveling at 13 miles per hour, and delivering a 55-foot storm surge (See articles on Daily News Updates for 9/18/2003). These are very powerful occult numbers. The number "18" is a hidden "666" because it is the number formed by adding "6+6+6". 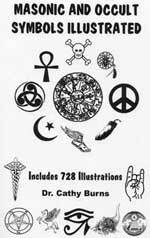 On many an occasion, an occultist has hidden the more offensive "666" by using the number "18". Furthermore, "18" is also formed by "9+9"; when you add the 9th month (September), you get a "999". To an occultist, a "9" is a "6", simply turned upside down. Thus, a "999" can represent the more offensive "666" to the occultist. The number "13" carries the connotation to a Satanist as the extreme rebellion of sin and witchcraft against God. The entire Illuminati plan is the ultimate rebellion against the authority of God, and is being carried out by extreme sin and the most powerful Witchcraft. The name, Jezebel, is also a symbol of extreme rebellion against the authority of God. Thus, it is not surprising that Hurricane Isabel caused 55-foot waves as she came ashore. One of the most powerfully hit landfall areas was reported to be at Kill Devil Hills, North Carolina, where the storm toppled a motel into the sea; at that point, Isabel was reportedly moving at 18 miles per hour. Thus, you can see the importance of scientists being able to create, maintain, and steer hurricanes! They can, and they do. With this thought in mind, let us now examine exactly where this storm came on land. Let us examine each of these photographs in detail, so you will know exactly what they show. 1) Isabel Making Landfall -- This photo was taken from an National Park Service website. As you can see, the eye lies just off the Outer Banks area as the storm begins to come ashore. The fury of the storm is all around this eye, so this point of impact is delivering the maximum sustained winds, accompanied by the storm surge in the ocean waters below. Up north on the map and to right, you will see Kill Devil Hills located on the Outer Banks; this was the location where a motel fell into the ocean as Isabel traveled over it at precisely 18 mph. The storm surge was at the enormous height of 55 feet because the hurricane had spent enough time traveling over the ocean at a Category 3 to 5 that she had built up a huge swelling of ocean water ahead of her; thus, even though she had weakened before she came on land, the storm surge was still very high and very devastating. 3) Isabel Outer Banks - This map shows a snippet of the USA Biodiversity and Re-Wilding Map shown above. 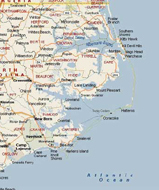 You can see the Outer Banks depicted and the section of land within it colored red. This area is the Biosphere listed above, consisting of Carteret and Pamlico Counties. All areas colored red on this map are "Core Reserves: Little to no human use", as a check with the full map, above, reveals. This means that this Outer Banks area is destined to be de-populated and allowed to go back to the "Wild" condition in which the white man found it 400 years ago. While the Carolinian - South Atlantic UN Biosphere targets only a small area in this section, the Re-Wilding Map clearly shows that the entire region is to ultimately be de-populated so the land can go back to the "Wild". In fact, as we have stated before, most of the entire East Coast is ultimately to be "Re-Wilded". The UN Biosphere areas seem to just be the focal points for the beginning of the "Re-Wilding" process in this Preparatory Period. As you can clearly see from the snippet photo entitled, "Isabel Outer Banks", this biosphere covers the entire peninsula jutting southward like a dagger. 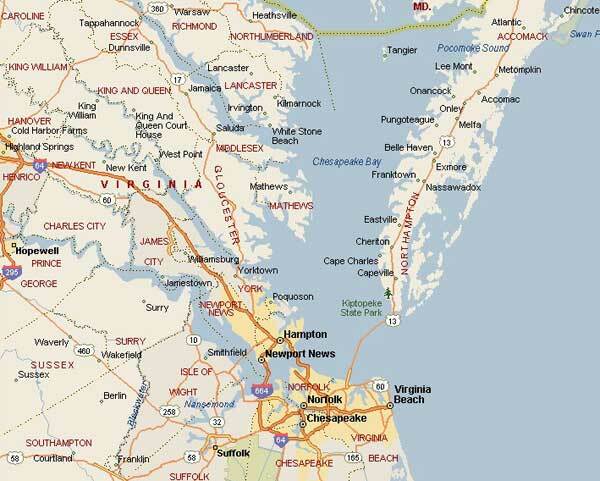 Northampton County covers the southern part of the peninsula while Accomack County covers the northern part of the same peninsula. After delivering a straight hit to the Carolinian - South Atlantic Biosphere, Hurricane Isabel then proceeded northward to strike the Virginia Coast Biosphere! What are the chances against that happening by accident? This storm named Isabel (Jezebel) and symbolized by the Pentagram within a Circle (Lucifer) struck the two UN Biospheres that are targeted for either no human activity or highly regulated human activity. At this point, it might be instructive to examine the U.N. Biosphere Map for the United States. This map clearly shows the complete UN Biosphere Program in the United States. However, we have to point out that the red dot depicting the location of the Carolinian - South Atlantic Biosphere is too far south. For this reason, we have listed the UN description showing exactly which counties make up this reserve with the accompanying maps which clearly show their location. If you just depended upon this one map, you would not realize that Hurricane Isabel delivered a direct hit on these two biosphere. 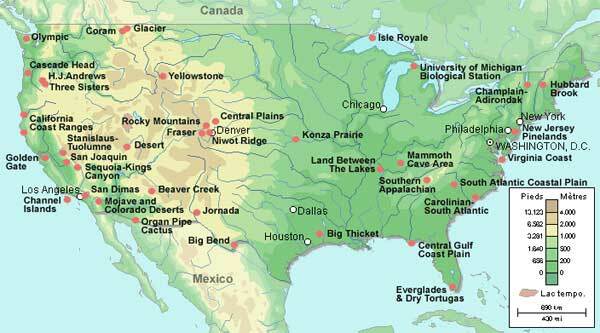 When you examine the Biosphere locations in the Midwest and West, you can see that an explosion of the Yellowstone Super Volcano would immediately deliver many Biospheres to the program; in fact, much of this area would immediately be de-populated and would make the matter more simple of sweeping the entire area of human habitation. The damage done to the Carolinian Biosphere was considerable. Let us examine some of the local news reports. NEWS BRIEF: "Nearly half of homes deemed uninhabitable", by Beth Blake, Carteret County News-Times, September 30, 2003. "BEAUFORT -- With more than 600 flood-damaged homes from Hurricane Isabel, nearly half are uninhabitable, county inspectors say. But they're not formally condemning the homes, knowing property owners have few options or places to go just days after the storm ...The United Methodist Church parsonage on Cedar Island is one of the structures, while at least 75 percent of the island homes had water in them ... Inspectors say 250 to 300 homes are uninhabitable, Mrs. Marshall said. " "With $16 million in estimated damage, and most of it residential with 645 homes, there's a lot of rebuilding ahead. But before starting work, residents are advised to get the necessary county permits, free of charge for storm-related damage ... County inspectors have been going door-to-door to help homeowners assess damage and advise them of the next steps they need to take while permit staff are going community to community issuing building permits ... No homes have been formally condemned, but 250 to 300 have found to be uninhabitable and residents have been urged to go elsewhere.
" If the structure has sustained extensive damage (more than 50 percent of the value, excluding the land), the homeowner will have to get a registered land surveyor to shoot a survey of the elevation of the property ... From there, inspectors can then advise how high the structure must be elevated. Homeowners are cautioned that county inspectors and FEMA workers are two different entities. Even if a county inspector has visited, homeowners still need to contact FEMA to get plugged into that process." This local article reveals several pertinent pieces of information. 1. The process of rebuilding will be totally dependent upon State and Federal agencies. We can only hope that homeowners can get their permits, their insurance payments and/or loans in a timely manner so they can readily rebuild. However, we half expect that many roadblocks might be put in the path of the homeowner to delay his rebuilding and/or discourage him so he will quit the entire process. 2. FEMA is now thoroughly involved in this rebuilding effort! This agency is the one primarily entrusted with the task of ruling America dictatorially during the time of the planned panics [Read NEWS1495]. Most people do not understand that a series of Executive Orders have been created by various past presidents that, if ever enacted, would abolish our current form of government, handing dictatorial powers to the president firstly, and then to the unelected head of FEMA ! 3. We see that nearly one-half of all homes were deemed to be uninhabitable! That is a lot of homes damaged in a single area. In an area devastated like this, even the homes not devastated will likely have suffered some type of damage that would hurt the pocketbooks of many of the owners. Further, community services like electricity, phone services and trash pickup might be interrupted for those homes not heavily damaged. Many owners may voluntarily elect not to return to their homes, at least right away. Now, let us examine another local news story. NEWS BRIEF: "Cape Lookout, Portsmouth took a big hit from hurricane", By Brad Rich, Carteret County News-Times, September 30, 2003. "HARKERS ISLAND -- Historic Portsmouth Village on Core Banks in the Cape Lookout National Seashore looked relatively unscathed when seashore superintendent Bob Vogel flew over it last Friday afternoon, the day after Hurricane Isabel stormed through. But upon closer inspection from the ground, Mr. Vogel said Tuesday, the news was not so good. The on-site inspection the next day (Saturday) revealed quite a lot of damage, he said Tuesday. 'It's all repairable, we think, but it's going to take a lot of time and effort and money. The church is fine, but almost all of the other structures have sustained a lot of flood damage. The coal shed beside the lighthouse is destroyed. And the Lifesaving Station, the closest building to the water and maybe the most historic of all the structures, was substantially damaged ... The cemeteries are damaged, we've got buildings knocked off foundations and bridges washed out'." "North Core Banks, home of Portsmouth , will remain closed to visitors for the foreseeable future, as will middle and South Core Banks north of the lighthouse, Mr. Vogel said. The park service and 40 to 50 visitors lost vehicles, and Alger Willis Camps and Morris Kabin Kamps were badly damaged. Cabins and docks were destroyed; the back road system was buried under unbelievable amounts of sand. Both North and South Core Banks were left a vast expanse of shoal and marsh grass, except for Portsmouth Village and Lookout Village , where some trees remain ...the entire seashore will remain closed to vehicular traffic for the time being." Please take a few moments to find these locations on our "Isabel Map". 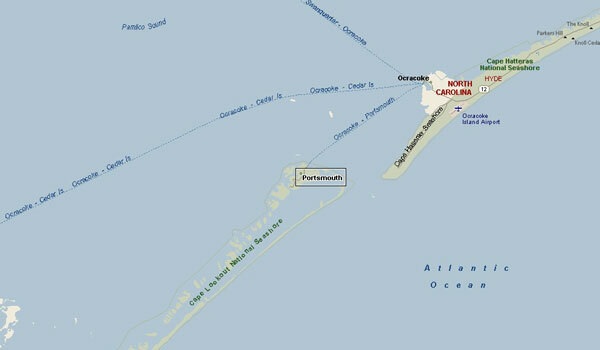 * Portsmouth and the Cape Lookout National Seashore are not showing on the "Isabel Map", so we have posted this more detailed map. You can see that the hurricane specifically targeted these outlying territories. The properties on these promontories are undoubtedly very high income, which is another reason the Extreme Environmentalists hate this property. This writeup also lists the closures due to Hurricane Isabel. Now that we have established that extensive damage was done to the U.N. Biosphere entitled, "Carolinian -South Atlantic" let us examine some of the inherent hostility which Extreme Environmentalists show toward development in this area. Then, we shall examine a "Letter to the Editor" from a local citizen who is excellently informed about the real agenda! This writeup clearly reveals the hostility that Extreme Environmentalists exhibit toward the intensive building pace of our current Industrial Civilization. In fact, the hostility revealed in these words greatly mutes the true hatred these environmentalists have toward us humans. If you read Sierra Club or Friends of the Earth literature for long, you shall discover the bubbling hatred for our current way of life. At least one local citizen understands the true nature of the Environmental Movement generally and their plans for this particular region specifically. "TO THE EDITOR: If the directors of the N.C. Coastal Federation, the Department of Coastal Management and the Coastal Resources Commission have their way, family beaches along North Carolina's coast will be depopulated in the future. In the aftermath of Hurricane Isabel this policy will be used to thwart the gung-ho rebuilding spirit that has existed along North Carolina's Outer Banks for the last hundred years. If homeowners had not been allowed to rebuild when Hurricane Hazel destroyed Atlantic Beach in 1954, what would have happened to Carteret County ? How many tax dollars would have been lost to the county over the last 50 years? If Gov. Umstead had not built the Emerald Isle bridge, how many jobs would never have been created? "As convoluted as it may seem, Mr. Miller, Ms. Moffitt and Mr. Tomlinson have made it clear they want this oasis of economic viability throttled and family beaches depopulated ... Putting everyone east of I-95 on a reservation may be the final solution. In the meantime, if Hollywood ever makes the sequel 'Dumb, Dumber and Dumbest', the casting director should look at the N.C. Coastal Federation, the Department of Coastal Management and the Coastal Resources Commission for starring roles ... This battle is not about the environment or welfare for the rich. It is about the fundamental right to own property." Letters to the Editor -- October 1, 2003, Carteret News. This local guy understands completely! He understands that the current policy is designed to "de-populate" the entire region! Notice he singles out for severe criticism the very local and Federal agencies whose websites are so full of promising and encouraging reports as to how well the rebuilding is going on! We suspect that homeowners in these areas are going to be in for a lot of difficulty in getting their properties restored. As we have stated many times, even if rebuilding from Isabel is allowed, the time will come when the Ultimate Man -- Antichrist -- will be on the world scene, galvanizing the people with his charisma and his mighty "signs and wonders". As he begins his cleansing of our current civilization and his de-population programs so Mother Gaia can be balanced again, he can point to the historic precedents set by historical mighty storms. He can explain that, since mankind could not act responsibly to restore "balance" in Nature, Mother Gaia attempted to do so by sending huge and terrible storms. He can point to great storms along the East Coast of the United States, and to the mighty storms that have devastated third world nations like India and Bangladesh during the 20th Century. He will explain that U.S. storms were caused by the unbalance to Mother Gaia caused by our Industrial Civilization while countries like India and Bangladesh have suffered devastation because their overpopulation was causing imbalance. Therefore, in one fell swoop, Antichrist will order the implementation of his global "Re-Wilding" campaign. Unlike the specific and limited U.N. Biosphere Program, this campaign will cover entire continents, just like our USA Re-Wilding Map demonstrates. Just before Antichrist makes this announcement, he might be further aided by the "Coming Superstorm". We report on this possibility -- especially since scientists can control the weather -- in NEWS1696. We shall just quote a few pertinent excerpts here. First, let us review the applicable New World Order Plan, remembering that our ignorance of the reality that scientists can control weather functions is one of the many "Silent Weapons" the Illuminati is using against us. * "cleanse the earth of pollution and evil people"
* "a global catastrophe that Ruth's Guides foresee as more massive than anything this planet has undergone in many thousands of years." * "long-awaited shift of the earth"
* "compensating movement in order to return it to stability." These are violent, death-dealing words! These words are purely apocalyptic, and when carried out, will "cleanse the earth" of at least 2 billion people. As we review this book by Art Bell - Whitley Strieber, remember these two paragraphs from Ruth Montgomery's Guiding Spirits. 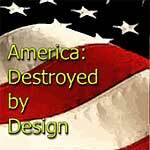 You will see this coming Global Superstorm mightily "compensating" so that the earth can be "returned to stability". After years of ratcheting up violent, deadly storms, the finale just might be the greatest "Perfect Storm" in history. In its aftermath, people would allow themselves to be ordered off their land, out of their cities, into their "Reserves" and "Buffer Zones". In this incredible scenario using weather control as a "social engineering tool", it is possible that the final planned event might be a continent-wide storm that would deliver such devastation that the survivors would be exceedingly panicked; they would be prepared to be convinced by their leadership that this "Superstorm" had been a natural outgrowth of the Global Warming theory, and that Mother Gaia was simply cleansing herself of the unbearable strains put upon her by overpopulation and our current Industrial Civilization! At this moment, this diabolical, disgusting Biodiversity Map could be implemented. The art of propaganda conditioning sometimes calls for a book to be written that will prepare the people for an event planned in the future; this type of conditioning vehicle will make the planned event seem like a natural event when it occurs so that no one will ever even think that it might have been scripted. For decades, kid's comic books have depicted some of the most outlandish science fiction scenarios imaginable, preparing their young minds for the shock of the events soon to come. I was not surprised to see this book come out, for I had been expecting such a propaganda conditioning tool. The title of this propaganda book is "The Coming Global Superstorm". We encourage you to read this fictional description of a continent-wide Superstorm in NEWS1696. It is highly conceivable that just such a Superstorm might be created and directed in several areas on earth just before Antichrist makes his "Mother Gaia" balancing proclamation. As you study the "Re-Wilding" USA map, remember this will not occur until after the de-population program has finished killing off 66% of the human population. This campaign of directed storms to gradually move the peoples of the world to accept the draconian plans of the Illuminati are occurring at the same time that the stage is set for the global fulfillment of so many prophecies. The war in the Middle East, the Korean Peninsula Nuclear Confrontation, China invading Taiwan, and the terrorism against our cities, are all set to go. These storms fit into Satan's plan as well.